Have you ever been asked about what your perfect for looks like? Some people describe the perfect day as winning the lottery and having the check delivered by their favorite celebrity. Who of course arrives on the back of a magical unicorn that you get to keep. While that’s an “interesting” vision and would make for an awesome day it’s not quite for me. I was never really awestruck by fame and rumor has it that unicorns are high maintenance. Lottery winnings might be nice though. But my perfect day would have to involve the freedom to roam the hills of Appalachia. I think I would like nothing more than to pick a trail along the river and slowly amble my way downstream while exploring all the little nooks and crannies that are seldom seen. I have even fantasized about packing up a fleet of canoes documenting all the rivers and streams in West Virginia. Perhaps even find some pre-columbian ruins and photograph mysterious petroglyphs before the elements obscure them forever. Or perhaps find a rare flower that has never been seen before. These were the dreams of my childhood. Not that fame and fortune were a bad thing but it was a lifestyle of simplicity and the wonder of discovery that I found attractive. And, while I may never really be the first person to stumble upon a grand discovery there is the very real possibility of seeing something that’s new to me. And that’s still awesome. There’s a reason why the Glade Creek Grist Mill at Babcock State is one of the most photographed spots in West Virginia. No matter what time of year it is the old Mill never fails to please. I was to meet a very special client here a few days ago for portraits and I knew that I had to make the effort to be there early and capture a few shots for my blog. We’re very close to the Peak Color weeks of Fall. The landscape of Appalachia swims in warm colors. The rustic construction of the mill fits perfectly into the mountains. The texture of the cut stone and rough oak beams and planks are artfully assembled using techniques that are centuries old. Every stone tells a story about how gentle taps with a hammer and chisel free the blocks from the stone quarry. How they are shaped by the same hands who lovingly tap away. I was blessed to have met a man at art show a couple of weeks ago who told me about how his father cut some of the oak that was used to make the chute that carries the water which turns the wheel to grind the flour. As I look at the mill and imagine how in the days before store bought bread how many hands were needed to feed a community. Hands that worked the stone. Hands that cut the lumber. Hands that built the wheel. Hands that put it all together. Hands that grew the grain. Hands that milled the flour and hands that baked the bread. It’s very fitting that these same hands would come together to break that bread on special occasions. Even in the old days nobody had all the skills needed to thrive on their own. Places like the mill were community effort and a community is an extension of family. Hello Friends and thank you for your support of my page. If you have enjoyed the photos or the writings please let me know by commenting and sharing my work on your social media. I would also like to invite you to Follow Lloyds Lens Photography on Facebook. If you don’t want to miss a post then you can sign up for email alerts on my website at the bottom of my Welcome Page on my website. Tonight’s Feature Image is titled “Glade Creek Grist Mill in Fall 1”. The feature image is available for purchase by contacting me on Facebook or by using the Contact Form on my website. One by one colors fall from the sky. There’s a rainbow in the wind. The forest takes on a different scent and the sounds change as well. For a moment I paused to take in the change and feel the bite of the oncoming cold weather. There’s a loud thump behind me. Cautiously I turned to face whatever beast stalks me. Emptiness. Only the falling leaves and the bare trunks of the trees. Perhaps it was just a branch that had pruned itself in the breeze. A few more steps down the pathway and this time I definitely hear the dry leaves crunch behind me and move to one side. I stepped behind a large yellow poplar as the crunch moves closer. I peek out from my hiding place and then I see the noisiest creature in the woods. A grey squirrel comes bouncing towards me. How a one pound bushy tailed tree rat manages make more noise than a Sasquatch in a dance off is beyond me. But they do. When I step back out the squirrel realizes that his prankster antics are over and in one last leap he disappeared up his own tree. Amused by the fluffy little rascal as he moved from branch to branch I smile and thank God for the beautiful fall day and the warm thermos of coffee back at my big blue truck. It time to leave the squirrel to finish stashing away his winter supplies. Hello Friends and thank you for your support of my page. If you have enjoyed the photos or the writings please let me know by commenting and sharing my work on your social media. 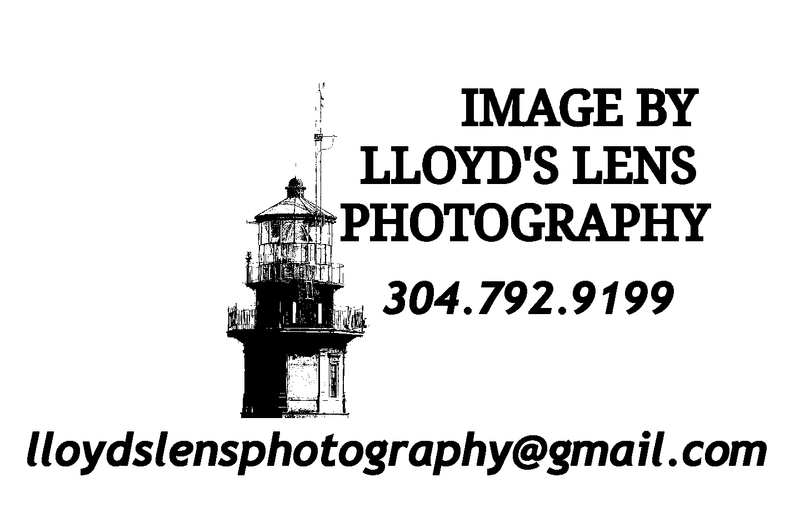 Please consider following Lloyds Lens Photography on Facebook.